Don't think getting 8 hours of sleep each night is important? Consider this. Lack of sleep is the first domino to fall in a series of bad self-care choices which impact your health. Here's an example from my own life, and maybe from yours too. You start out the day waking up 20 minutes late. This is despite the fact you'd already set the alarm a full 30 minutes later because you were up a hour late the night before trying to fit in one more email, which of course led to about a dozen more tiny tasks for your start up business. Tired and already feeling guilty about hitting snooze twice and anxious because you've fallen behind, you skip breakfast and don't even think about packing lunch. On the way to your day job, you grab coffee and summon all your willpower to successfully skip the pastries because you're trying to be healthy. After a rushed and stressful commute full of self-condemnation for waking up late, you get to work on time (just barely), but you're not performing well. All you can think about is eating and you're tired. The coffee kicks in eventually. It keeps you awake and seems to appease your appetite. However by lunchtime, you're just plain hangry. You can't bare to wait the few extra moments for your office mate to wrap up her phone call, so you head off to lunch alone. You drop into the closest deli. 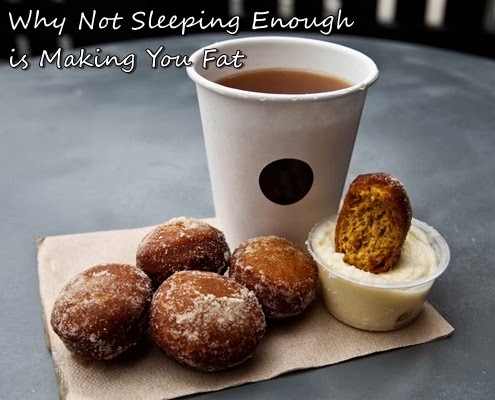 The food there isn't particularly healthy but you've used up all your willpower for the day dodging donuts and resisting the urge to sleep in. You just need something, anything, and FAST! At the deli, you're all elbows and eye rolls. Everyone is in your way: the person ahead of you is taking too long to place his order, the sandwich maker doesn't seem to understand English, and the cashier can't count. You are sure to make everyone know they are incompetent and they're rude right back to you. You then get back to your office, sit at your desk, and wolf down a lunch containing all the foods you've been trying not to eat without really noticing until you are feeling bloated, gross, and tired. You spend the rest of the work day seesawing between caffeine induced energy jolts and crashes. By 4pm you truly feel like rubbish so you grab a cupcake to feel a little better. And you do feel better until you remember you're trying not to eat sweets. Determined to make up for the sweet, after work you skip dinner and take an intense spinning class at the gym. This is fine until you are absolutely starving at 9pm. You haven't cooked anything that evening and you don't have any leftovers, so you order Chinese food delivery. Rightfully, you're superhungry. Steamed veggies and brown rice isn't going to cut it. The delivery guy brings a bag of greasy, sugary, and salty refined carbs to your door. You hand him $15, even though you're trying to save money, and then sit on your couch and wolf it down while watching bad tv. It's hard to sleep on a full tummy, you don't make it off the couch and into bed until after 11pm. On top of this, the salt in the Chinese food meant you had to drink a lot of water, so you have to get up at few times over the course of the night to pee. Going to bed late and interrupted sleep cause you to repeat the same pattern again tomorrow. Imagine what your day would've been like if you had gotten enough sleep. You wake up feeling refreshed, before the alarm, and enjoy a calm morning. This includes a sit down breakfast and grabbing the nourishing lunch you packed the night before, when you chose to prioritize self-care. You feel bright and confident at work. You eat lunch with a friend and the two of you have time enjoy a walk in the fresh air since you don't need to deal with deli drama. At 4pm, you treat yourself to a healthy snack: a few pieces of dark chocolate, an apple, and some almonds. You go to the gym after work, but exercise at a rejuvenating pace, fueled by all the nourishing food you've eaten today, and leave feeling energized. You make a delicious healthy dinner and are sure to pack leftovers to bring to work tomorrow for lunch. Feeling vibrant after dinner, you do some work for your small business then also tend to your soul: you paint, read, knit, or call a friend. Your entire day has been guilt and willpower free; it just flowed, and was filled with positive self-talk and self-care. You are ready to sleep another 8 hours and do it all again tomorrow. This is the difference sleep can make. Try these herbal remedies for a more restful sleep. Contact me for a breakthrough health consultation to see how I can help you fit more sleep and improved self-care into your busy lifestyle so that you can achieve your weight loss goals. Do you get enough sleep? Have you noticed a connection between the amount of sleep you get and the kinds of diet and lifestyle choices you make?